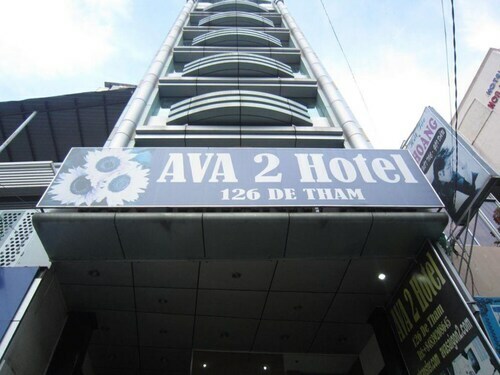 Located in Downtown Ho Chi Minh City, this hotel is within a 10-minute walk of Temple of Mariamman, Ben Thanh Market, and Pham Ngu Lao Backpacker Area. Bui Vien Walking Street and Museum of Ho Chi Minh City are also within 10 minutes. Saigon Railway Station is 29 minutes by foot. 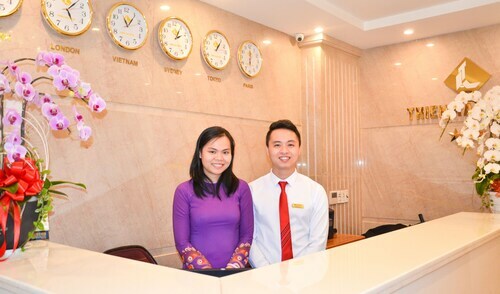 Located in the heart of Ho Chi Minh City, this hotel is within a 5-minute walk of Bui Vien Walking Street and Pham Ngu Lao Backpacker Area. Ben Thanh Market and Saigon Square are also within 1 mi (2 km). 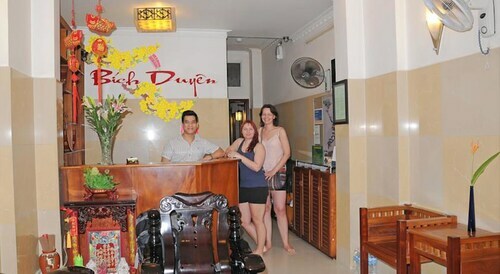 Located in Downtown Ho Chi Minh City, this hotel is steps from Pham Ngu Lao Backpacker Area and Bui Vien Walking Street. Ben Thanh Market and Saigon Square are also within 1 mi (2 km). Saigon Railway Station is 29 minutes by foot. 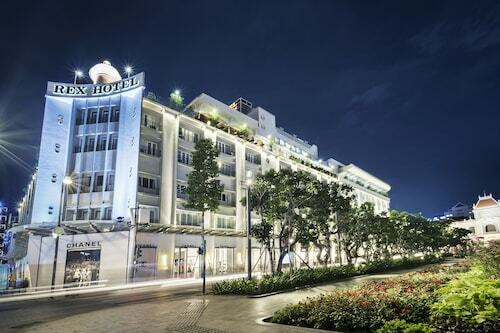 Located in Little Japan, this luxury hotel is within a 10-minute walk of Ton Duc Thang Museum and Dong Khoi Shopping Street. Opera House and Vietnam National Museum of History are also within 1 mi (2 km). If you’re looking for a Southeast Asian city pulsating with more energy than you thought possible, look no further than Ho Chi Minh City. Long removed from the days of war, this town is now undergoing a different kind of revolution. Young go-getters are fuelling an influx of new money and rags-to-riches stories that echo the background of the city itself. 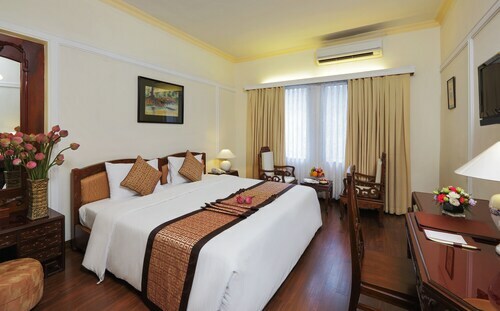 If this sounds like an epic place for your next trip, check out our deals on Ho Chi Minh City hotels and get going today. 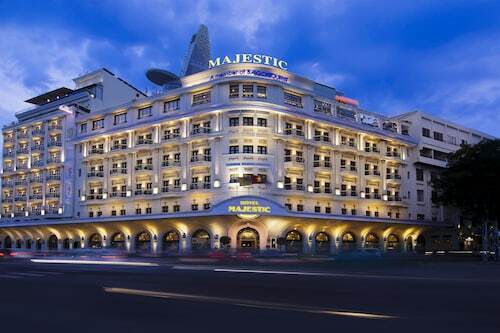 District 1 is aptly named: As the city’s urban centre, it’s number one in terms of shops and attractions, and many hotels in Ho Chi Minh City are located here. See the Saigon Notre-Dame Basilica, with its characteristic French red tiles, soaring white spires, and granite statue that’s said to have shed a tear in 2005. Whether that’s true or not is up to you to decide, but it’s still cool to see. Take in the scenery while sipping du’a tu’oi (fresh coconut) and munching on fried crickets (or stuffed dumplings, for the less adventurous). Then make your way to City Hall for a nighttime viewing, when the red flag shines under the spectacular lighting. Just because the building isn’t open to the public doesn’t mean you can’t snap a selfie in front of the elegant colonial structure. 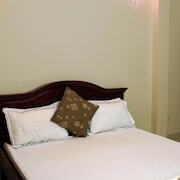 Accommodation near Phu Nhuan is just north of District 1 and offers the perfect respite from the crowds. 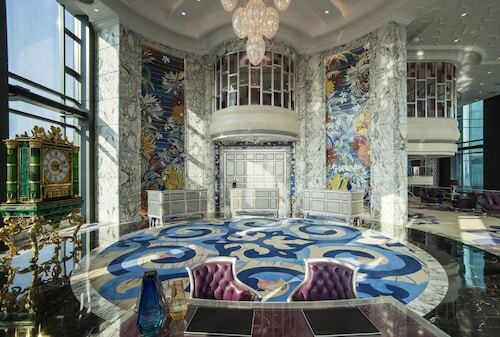 Take a break in a themed coffeehouse—where else can you drink bubble tea in a castle or a treehouse? From there, it’s a short ride to the enigmatic Jade Emperor Pagoda. Packed with fantastic imagery from saintly to grotesque, this eerily charismatic temple is dedicated to the Taoist supreme god and the Chief of the Underworld (he’s a hell of a good time). 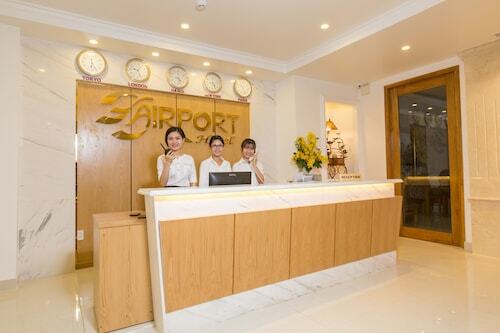 Flights to Ho Chi Minh City will land at Tan Son Nhat International Airport (SGN). The city bus can take you from the airport to Ben Thanh Market in District 1; however, it only runs until 6:00 pm. If you get in late, or just want door-to-door service, you’ll need a taxi. Make sure you find one at an authorised cab stand, and use local currency to pay. Once you’re checked into your accommodation in Ho Chi Minh City, adventurous travellers can take the bus or rent a motorbike. If you’ve got cash to spare, hire an English-speaking driver and live like a monarch for a day or two—or the whole trip. The end of July is a great time to book Ho Chi Minh City holidays, because that’s when the Le Van Duyet Tomb Festival is held. The biggest fair in the city is held in honour of Le Van Duyet, a military general during the Nguyen Dynasty. The locals pray for good crops, happiness, favourable weather, safety and peace for the country. Let’s be honest, who doesn’t want all that? If you made plans to visit in the middle of August, that’s great, because you’ll be able to take part in the day of wandering souls, otherwise known as Trung Nguyen. People leave offerings like food and clothes at the foot of the city’s pagodas for the souls who are deemed less fortunate. Neat, right? 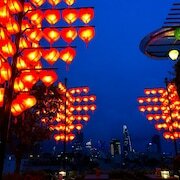 But the biggest events of Trung Nguyen are the colourful lantern parades that take place in the canals and rivers during the night. This is supposedly a time where the living and the dead can meet up, so make sure you’re on your best behaviour. 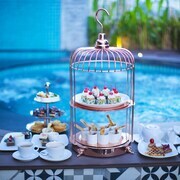 Forget about lounging in one of the finer places to stay in Ho Chi Minh City and drinking bucket after bucket of Habeco—that’s great and all, but you need to get outside. Make your way to the Cu Chi District and slip into the Cu Chi Tunnel system. These were used extensively during the Vietnam War as a way to move about the city undetected. Enter a secret trapdoor and wander the complex system until you come to one of the command bunkers, where you’ll sit down for a delicious lunch. After your meal, hit the shooting range and empty a full metal jacket or two. Next, emerge from the depths of the city and get acquainted with the flora and fauna at the Saigon Zoo and Botanical Gardens. This place is ridiculously cool; it’s divided up into an animal conservation area, a plant conservation area, an orchid garden and an amusement park. Think about it: You could hold a tiger cub, sniff a pretty flower and ride a roller coaster all in under an hour. Not bad, is it? Are you finally ready for a boat cruise with a meal? Hop aboard a Mekong Delta tour with a Vietnamese cooking class. Sure, you may be the one doing the cooking, but it’ll be delicious, especially when you’re cruising the waters of an area that’s been called a “biological treasure trove”. You’ll probably make a stop at the floating market of Can Tho to pick up ingredients that will go into a plate of whatever your cooking instructor tells you to make. 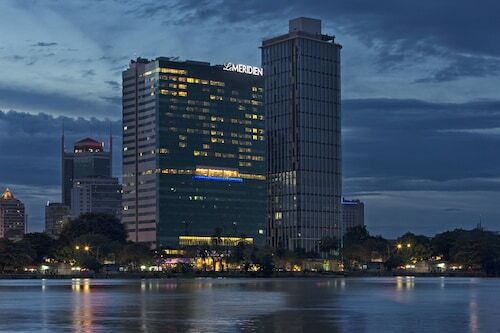 Are you only spending one day in Ho Chi Minh City? If so, make sure you venture through the War Remnants Museum, one of the most popular attractions among tourists and locals alike. You can see an old UH-1 “Huey” helicopter, an F-A5 fighter and an M48 Patton tank. None of them work anymore, so don’t even think about trying to start them up. When you’re looking to try the best food in Ho Chi Minh City, take a walk down Dong Khoi Street in District 1 and take your pick from restaurants and street food vendors. Grab a delicious pork banh mi sandwich or a bowl of beef pho…or double down and get both at once. We won’t judge. 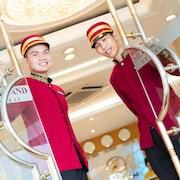 Revolutionise the way you travel when you search Wotif’s selection of Ho Chi Minh City accommodation. Find your perfect place, then listen to your holiday self and book today! 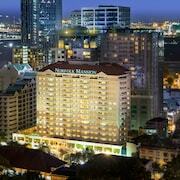 How Much is a Hotel Room in Ho Chi Minh City? 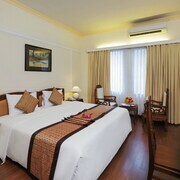 Hotels in Ho Chi Minh City start at NZ$22 per night. Prices and availability subject to change. Additional terms may apply. Nice place and good location, however, the airconditioner didn't actually cool the room at all. No issues with this place. 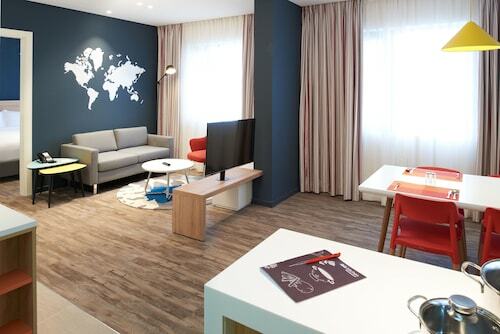 Awesome little hotel very close to airport. Small basic room (we stayed in standard room) but had everything expected for this kind of room.